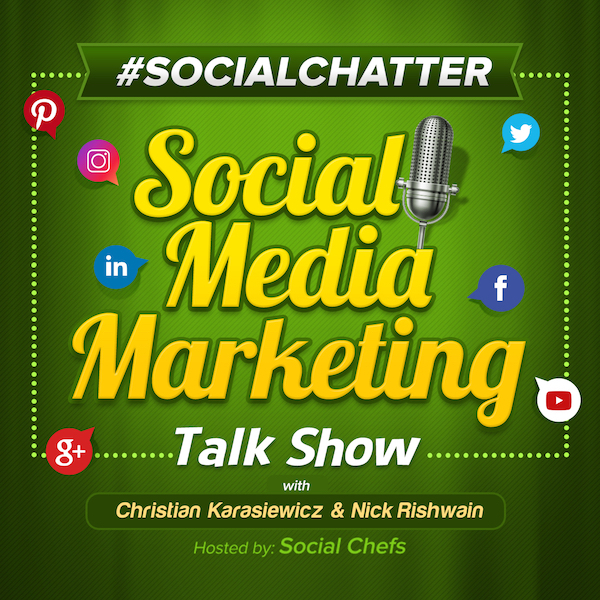 On this week's episode of Social Chatter, your weekly social media marketing talk show, we explore reducing inauthentic activity on Instagram, YouTube free and ad-supported movies, a Twitter edit button, Buffer Stories Creator, Magic Social for Instagram and more with Christian Karasiewicz. Let's see what's new in social media this week. In Instagram news, they are improving your Instagram profile. To make your Instagram account easier to use, they will be moving around the navigation along with various tabs. According to Instagram, the photo and video grid won't be changing. Here is a look at potential changes coming to your Instagram Profile in order to make it easier to use. Instagram recognizes that they need to continue to improve their platform. With more and more people and businesses gravitating towards Instagram, they need to make sure it's easy to use for everyone. While we won't know what changes are final, it's good to see Instagram being proactive and making users aware about how the are working to improve your Instagram profile. In the meantime, if you go to use Instagram and notice some things aren't the same, don't worry. Change is necessary in order to create bigger growth, which for Instagram, we think is a push into shopping on Instagram. To read the announcement about how Instagram is working to improve your profile, click here. Also in Instagram news, they are trying to reduce inauthentic activity on Instagram by removing inauthentic likes, follows and comments from accounts that are using third-party apps to boost their popularity. Instagram wants to clean-up their platform. "Accounts we identify using these services will receive an in-app message alerting them that we have removed the inauthentic likes, follows and comments given by their account to others. We will also ask them to secure their account by changing their password. People who use these types of apps share their username and password, and their accounts are sometimes used by third-party apps for inauthentic likes, follows and comments." As a business owner, we understand the importance of growing your channel, but it shouldn't be done in inauthentic ways. This paints your business in an untrue manner for potential customers. What these changes mean is that you'll need to start promoting your businesses presence on Instagram using better ways. For example, be sure customers who visit your brick-and-mortar business know that you have a presence on Instagram. Maybe include a flyer or decal in the window with your username or better yet, use Instagram Nametag. If you're strictly an online business, be sure your website and check-out process prominently displays which social media channels customers can connect with you on. Lastly, when sharing posts on Instagram, be sure you utilize a number of hashtags in your posts so that you broaden your reach to other Instagram users. While Instagram's crackdown on inauthentic activity seems like it will be more work for your business, remember, there are no shortcuts in business. If you take the necessary steps to be authentic on Instagram, you'll come out ahead in the long-run. You can read more about reducing inauthentic activity on Instagram here. In Snapchat news, they are launching a Snapchat Lens creative partners program. This new program from Snapchat wants to help brands find AR filter creators. If you want to tap into the power of augmented reality (AR), chances are you lack the skills needed to build AR Lenses for Snapchat. With the Snapchat Lens Creative Partners Program, Snapchat can help your brand find AR Lens creators to help you. According to Snap, "to be certified, creators had to be experienced in developing quality AR and complete a rigorous course about the development process, creative best practices, ad policies and buy models of sponsored AR Lenses on Snapchat." Here is a breakdown on Snapchat Lens creator partners. You can learn more about the Snapchat Lens Creative Partner Program and sign-up here. In YouTube news, they are launching free and ad-supported movies. Currently, there are around 100 movies in the Movies and Shows section on your YouTube channel. By adding free and ad-supported movies on YouTube, YouTube can continue to grow their platform and make it the destination for watching videos. This presents an opportunity for them to generate additional revenue. As a business owner, YouTube could extend their movies to allow for companies to sponsor movies in the future as well. If you are currently sharing your own videos on YouTube, be sure you are optimizing them so that they show up in search results or next to related videos. For now, while YouTube movies will focus on blockbuster movies, but we expect they'll expand to video content created by everyday users like yourself. In the meantime, you can read more about new free and ad-supported YouTube movies here. In Twitter news, they are considering adding a Twitter edit button. It's no secret, Twitter users have wanted a Twitter edit button for some time. While every other social media channel includes the ability to edit your status update after you've posted it, you cannot currently edit your tweets. By adding a Twitter edit button, not only would this save you from having to delete tweets with incorrect spelling or grammar, but it would save you time as well. Instead of having to delete your entire tweet and then re-post it, you could use the Twitter edit button to make changes to your tweet. While the ability to edit your tweets likely won't improve the number of active users on Twitter, it will save you time. As a business owner, time is important. Even if you save just a few minutes, that's time you can put back into your business to continue growing it. Should Twitter add an edit button? Let us know in the comments below. To read more about adding a Twitter edit button and what it could mean for Twitter, click here. Also in Twitter news, the Explore tab in iOS is now sorting Stories into sections. Twitter wants to make it easier for you to find the best Stories at the top of your Twitter Explore tab. To help you, they are adding different sections to the top of the Twitter Explore tab. You'll see sections such as News, Sports, Fun and Entertainment. As a business owner, your time is valuable, yet you still want to stay up-to-date on what is trending. By sorting Twitter Explore Stories, you'll be able to find the best tweets (picked just for you), in just a few taps. To get the updated Twitter Explore tab, update your app from the iOS app store. To learn more about Twitter sorting the Twitter Explore tab stories, click here. The first tool that we have discovered this week is Buffer Stories Creator (web). Buffer Stories Creator is a lightweight free tool to help you create and download images to use on your Facebook Stories or Instagram Stories. If you're not the creative type and want a quick and easy way to create images for your Facebook or Instagram Stories, give Stories Creator a try. With just a few clicks, you can create beautiful images for your own Stories in seconds. Here is a look at how to use Buffer Stories Creator. Buffer Stories Creator is free to use. You can start creating images for your Stories from the following link. The second tool that we have for you this week is Magic Social (web). Would you like to increase your Instagram followers? Maybe you want to identify highly-targeted Instagram accounts to follow? With Magic Social, you can quickly grow your Instagram channel and attract the right followers. Using a series of smart filters, Magic Social can help you target the right users, hashtags, locations and more. The more you use Magic Social, it will begin to automatically execute your goals for Instagram. Magic Social starts at $15 per week.